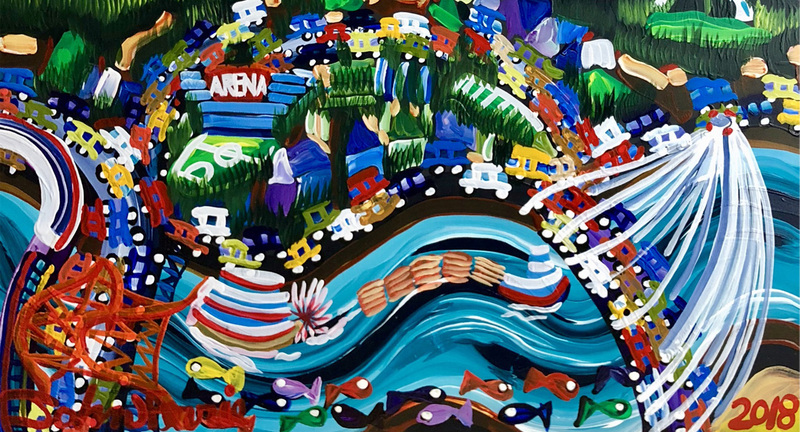 Celebrated Vancouver artist John Ferrie has earned international attention for his vibrantly expressive landscapes, florals and figurative work. Born and raised in Vancouver in the architecturally significant Shaughnessy neighborhood, Ferrie has made his native city the thriving, swooning heart of his work. As a freewheeling kid with a bike and a curious taste for adventure, Ferrie came to intimately appreciate Vancouver’s history and evolving identity from a young age. Art was always central to his character. 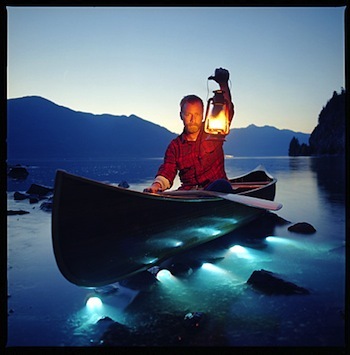 After moving with his family to Calgary – a decade long hiatus that left him longing for the freedom of the west coast – Ferrie undertook a foundation year of art studies at the Alberta college of art before being accepted into Vancouver’s prestigious Emily Carr university for a full 4 year program. His return to the city coincided with its flowering into a contemporary cultural hub. By his second year of art school, Ferrie was already producing exhibitions beginning a creative journey that now includes over 100 solo shows, frequent TV and radio interviews and prominent cultural and humanitarian awards. Through his art, Ferrie acts as an archivist and storyteller as he seeks to find the architectural gems and vivid moments that define the city in his eyes. His canvases have the chromatic bravado of a fauvist scene coupled with a purposefully exaggerated style that is reminiscent of Keith haring and David Hockney. Ferrie’s lines are curvy, kinetic, sinuous but never straight. His candy-bright colours radiate an alluring sensuality. Along with his dramatic landscapes, Ferrie has earned recognition for his ongoing series of vivid floral works – wild, undulating blooms that evidence his interest in classical French still life’s. And his figurative pieces represent a queer parade of colourful characters and exaggerated personalities. 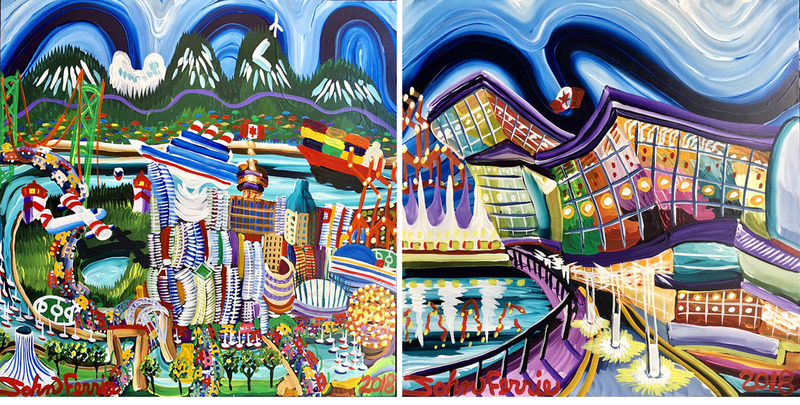 But it’s the rhythms and grandeur of Vancouver that continue to spark Ferrie’s attention. 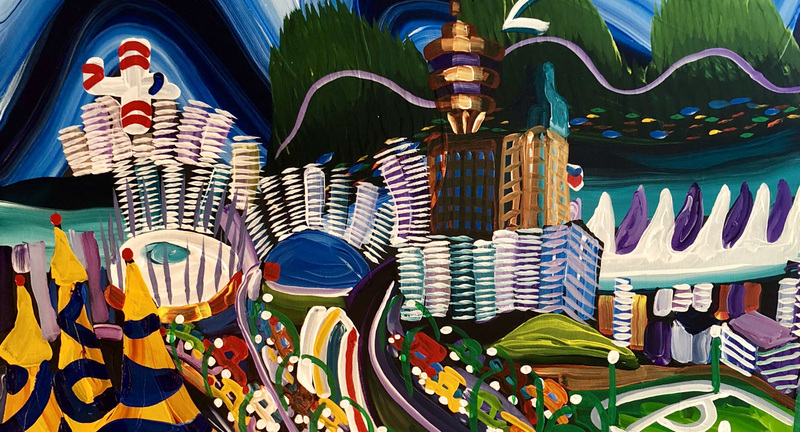 In his expressively lyrical style, Ferrie transforms the city’s vast panoramas, jumbled perspectives, architectural gems and intimate corners with a pageantry of jewel-toned colours. His paintings appear both magisterial and marvellous. The city as dreamscape. 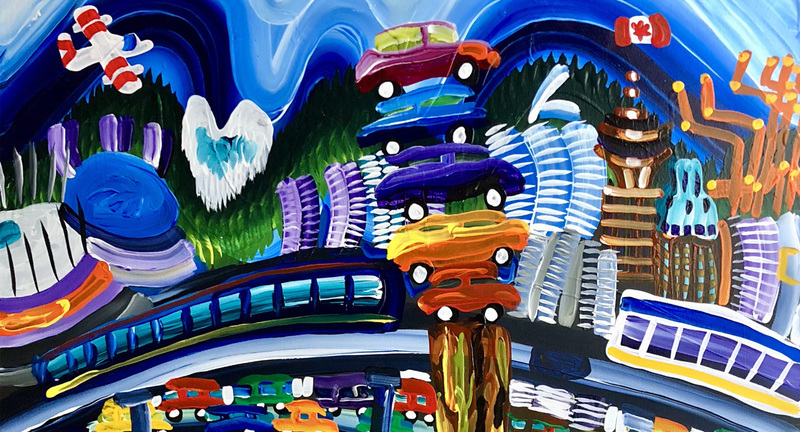 For over 30 years, Ferrie has made his art as if a theatrical illusionist spinning out vividly creative visual stories the way he sees Vancouver and the world around him. Filled with wit and charm, Ferrie’s work dazzles the senses. 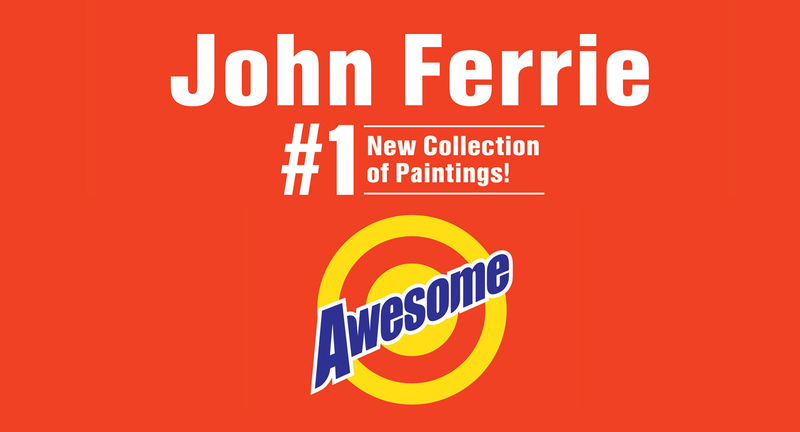 John Ferrie lives in Vancouver and paints in his private studio filled with his collections of contemporary art pieces. Ferrie has been selected for key artist residencies in Paris, New York and Hong Kong as well as at Rideau hall in Ottawa. A popular figure in the Vancouver arts community, Ferrie has also exhibited in San Francisco, Miami and Seattle. In 2016, John was honored to be awarded the td pride legacy award recognizing his long and continuing commitment to the lgbt2q community. When not in his studio, John can be found on his bike somewhere out in the city looking for his next composition with Vancouver sparkling in the distance.